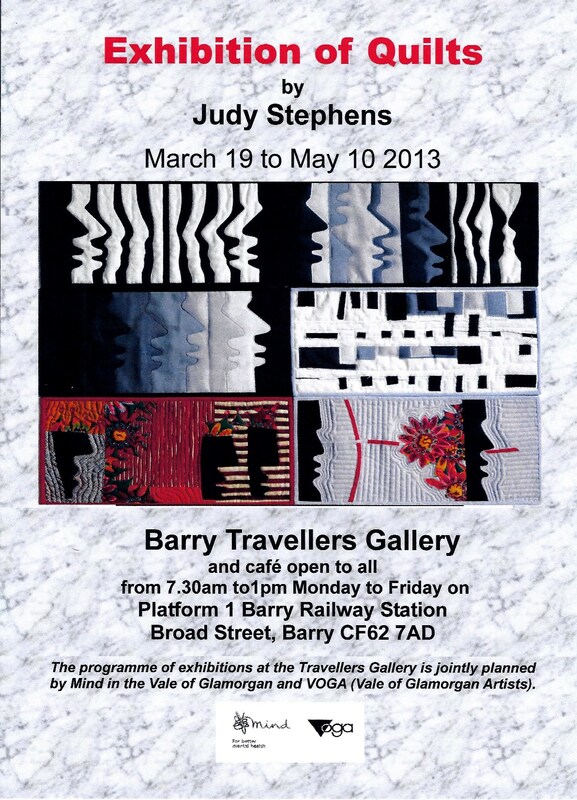 Judy Stephens has a solo exhibition at Barry Travellers Gallery from March 19 to May 10. 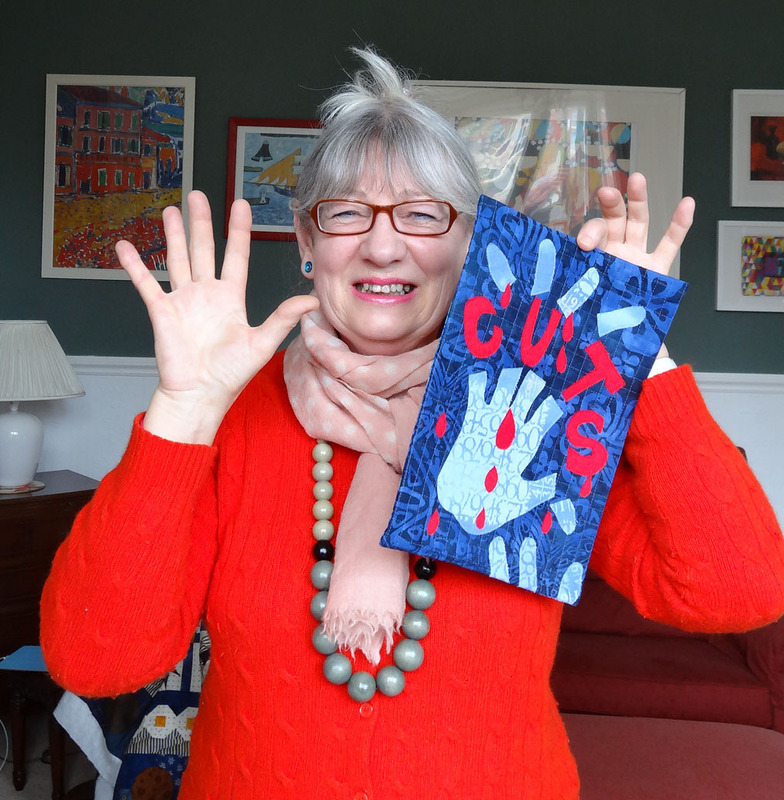 Here she is brandishing a Journal Quilt called CUTS which will be in the exhibition. Barry Travellers Gallery must be unique in that it is actually on Platform 1 of a railway station. But you don’t have to be a train passenger to get into it and it is part of a cafe serving, amongst other things, gorgeous homemade cakes. It is open mornings only Monday to Friday from 7.30am to 1pm. 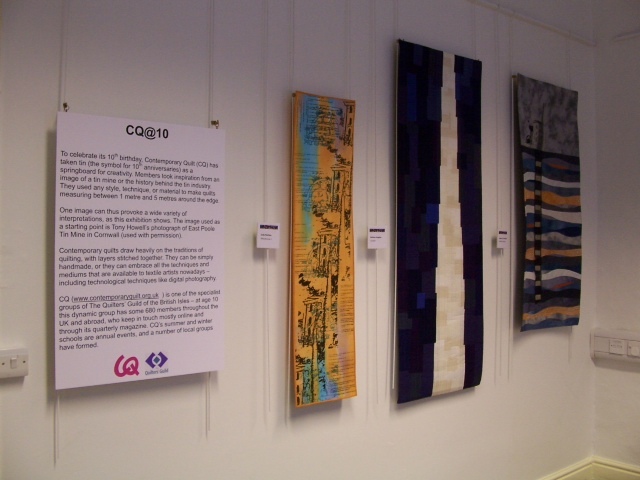 There are plenty of opportunities to see Cwilt Cymru members’ work on display at the moment! Millie has work on show at Oriel y Parc in St David’s until May. 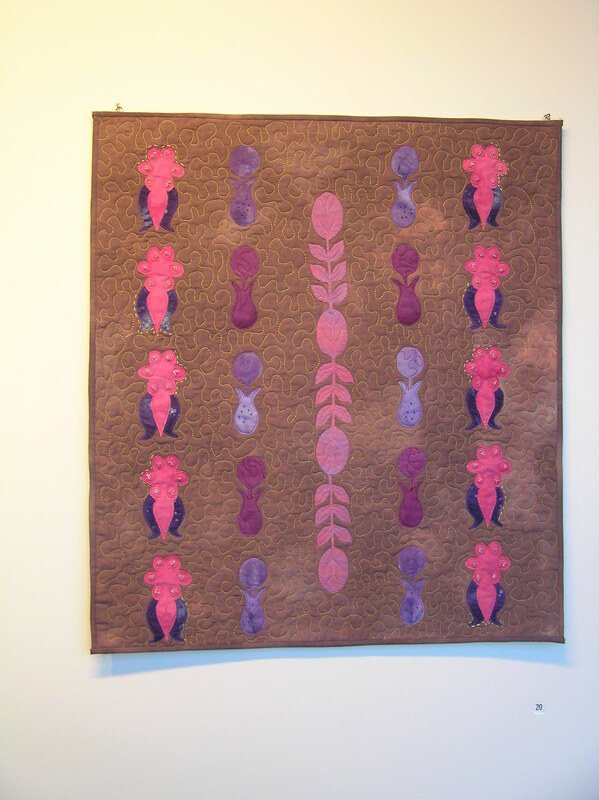 In addition to the Region 12 exhibition, Judy has work in three exhibitions. 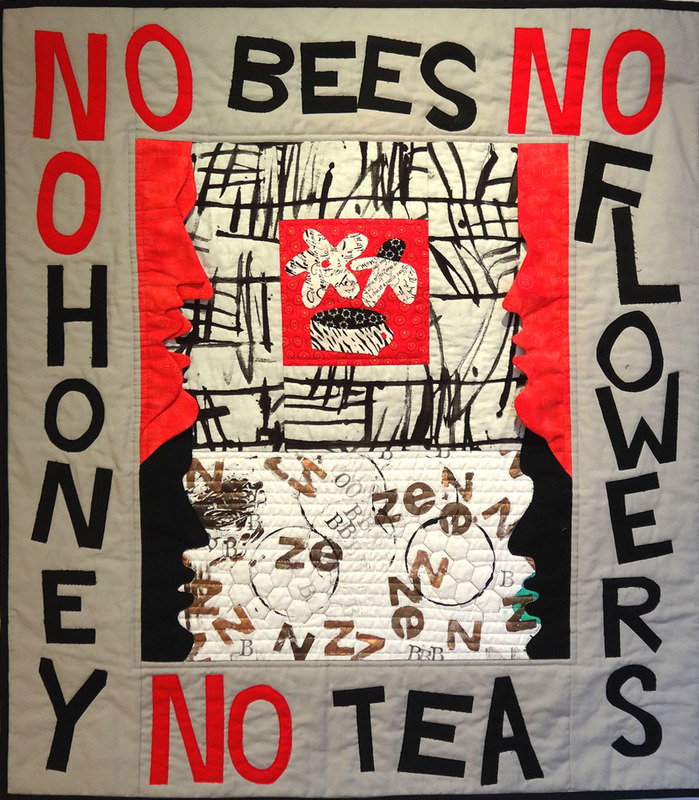 Her solo show will be at Barry Travellers Gallery, Barry, from March 19 to May 10 (more to come on this in a future post). 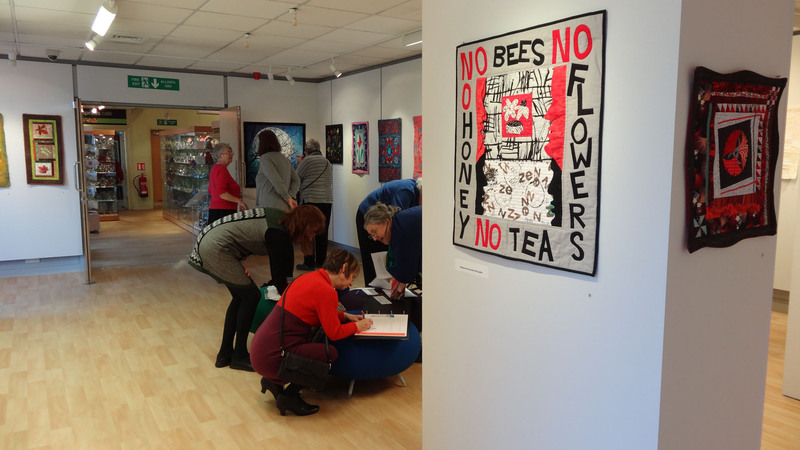 She also has pieces in two Women’s Arts Association exhibitions, one at Barry Art Central and the other at the Butetown History and Arts Centre in Cardiff Bay. 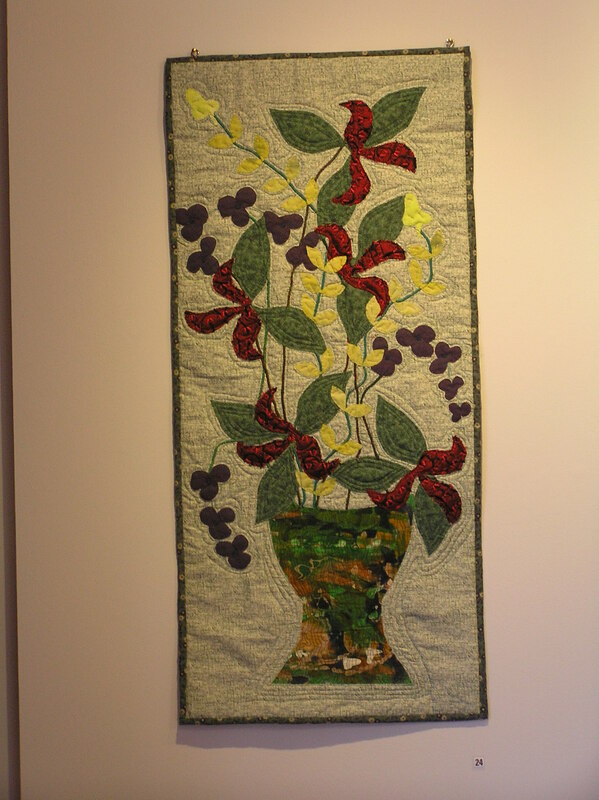 The Quilters’ Guild Region 12 exhibition has opened at the Cynon Valley Museum in Aberdare and includes work by Judith, Judy and Millie. The exhibition runs until April 13.